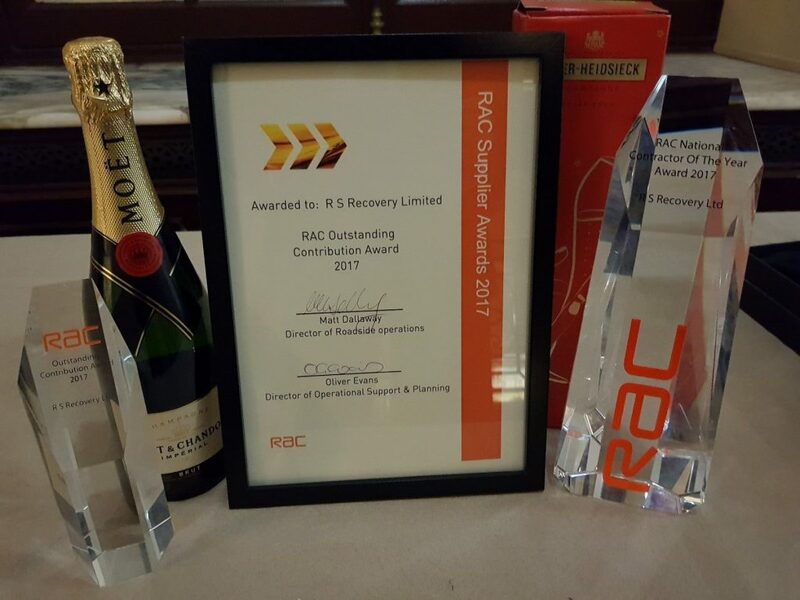 We won Outstanding Contribution Award as well as Contractor Of The Year 2017 from The RAC at an awards ceremony held at The Royal Automobile Club in Pall Mall, London. It was fantastic to receive recognition for the hard work of our Control Team, Recovery Drivers and Technicians. Also, a big thank you to our customers for helping us to constantly improve our service that we’re then able to apply across the business.